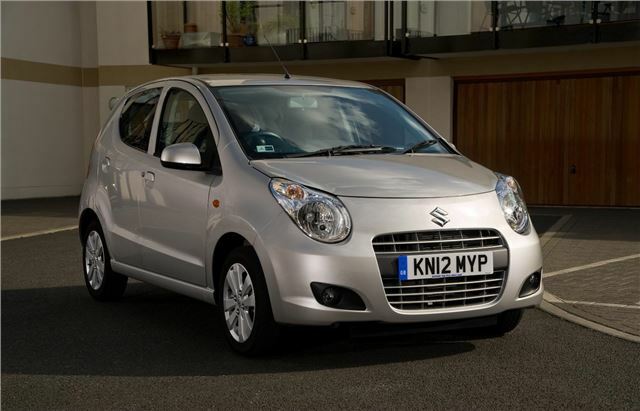 Suzuki’s smallest model, the Alto, has been refreshed for 2012, with new colours and lower emissions. The cleanest manual model now emits 99g/km of CO2, making it congestion charge exempt and allowing it to qualify for the free annual VED. Prices start at £6995. The improved emissions bring the benefit of reduced fuel consumption, which is 65.7mpg with the manual gearbox. The improved fuel economy and lower emissions are owed to a new Dual VVT system, which also improves throttle response of the 68bhp three-cylinder petrol engine. Other changes to the Alto range include a new exterior colour called Glistening Grey metallic, a refreshed interior design with new fabric trim, new wheel trims for models with steel wheels and a dipping rear view mirror. The optional automatic transmission is cleaner and more efficient than it was previously, too, with emissions down to 118g/km from 122g/km, which equates to £65 reduction in annual VED bills after the first year, which is free. It’s a true four-speed automatic, rather than an automated manual.